Parking Meter (Pay & Display) £1.80 2 hours. Free parking from 6pm - 8am. Snow Hill Station and St Paul's Metro tram stops are a few minutes walk from Anderson's Bar & Grill. 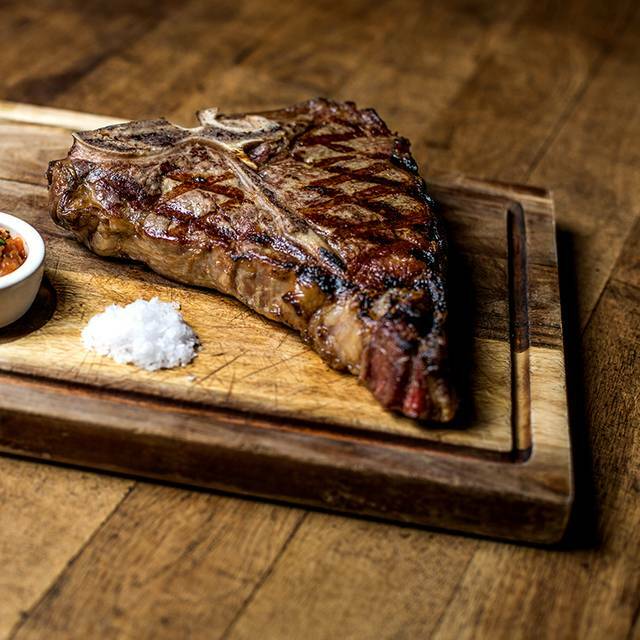 We are the West Midlands’ premier, award-winning steakhouse and we pride ourselves on offering rare breed beef. 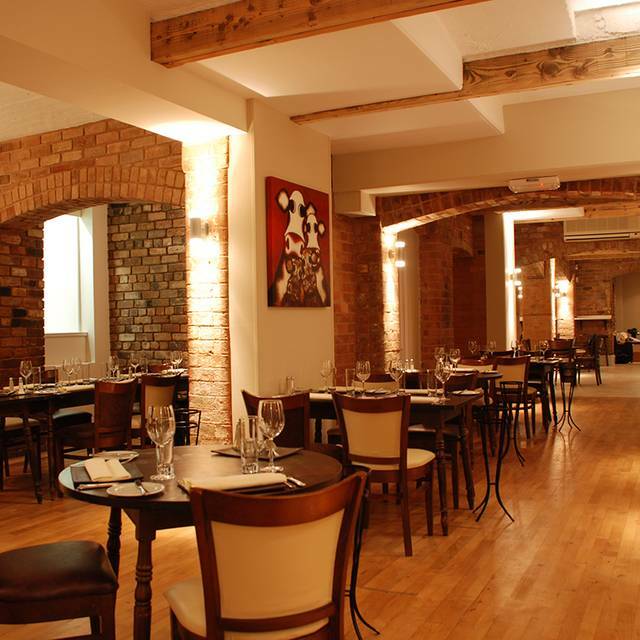 Situated in the picturesque Georgian Square of St Paul’s Church, we reside in the eighteenth-century cellars once known as The Bucklemaker. 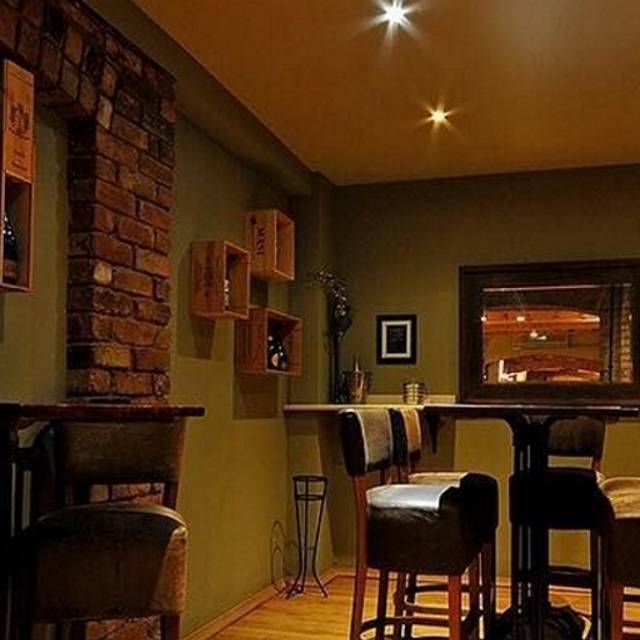 With our expertise and passion, we endeavour to create a great atmosphere and a high quality of service and food. 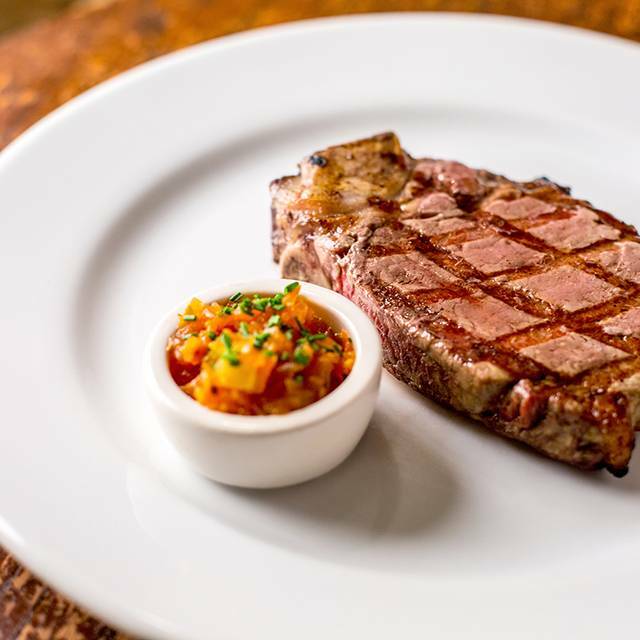 Along with fine British beef across our steak menu, our exclusive Market Menu makes a limited amount of near-forgotten rare, native and unique breeds of beef, reared locally in the UK, accessible to our diners. 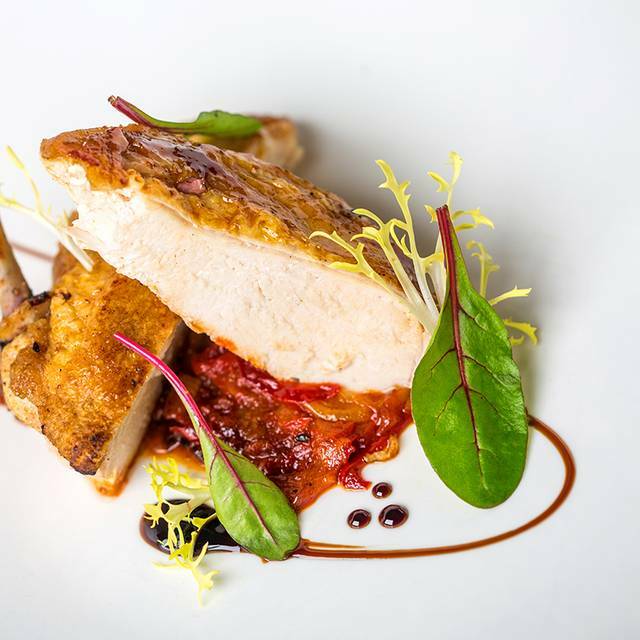 Our aim is to give you a relaxed and informal approach to dining at the best possible value. 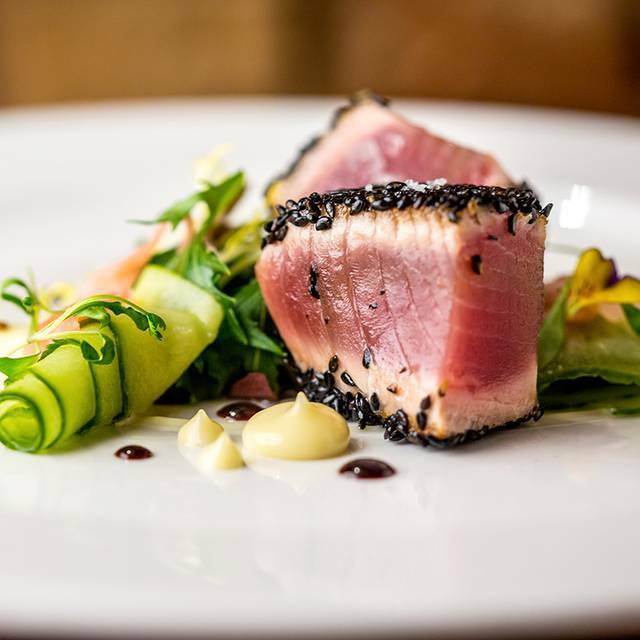 So, whether it’s a business lunch, a romantic dinner for two or a party with friends, we hope to be wining and dining you very soon. Could not fault the food, it was of very high standard. Ambience inside was great, just the right amount of tables in the restaurant. If the place was packed I don’t think it would hinder the quality or service, everything is set out just right. Service we could not fault. New favourite steak house. Birthday, arrived at 6 shown to table. Service good. Menu very sparse and disappointing very little fish last time I came here I had a lovely Dover sole whole. Smoked salmon starter was like a tin of salmon, main they let me have a double bream starter which was minute... potatoes nice though. Had cherry pie dessert which was nice. He had tomato soup it was ok , t bone steak ok too he says. Food not as good as last time but nice atmosphere and attentive staff. Great value for money, especially when sides are included! Simple but gorgeous food, personal service, knowledgable staff. Perfect for a special occasion. Out standing food and service the best !!! Excellent atmosphere.Made you feel welcome.Food was outstanding and service impeccable.Well worth another visit. The restaurant was fairly quiet for a Friday lunchtime so we'd like to go back for dinner to experience a different atmosphere. 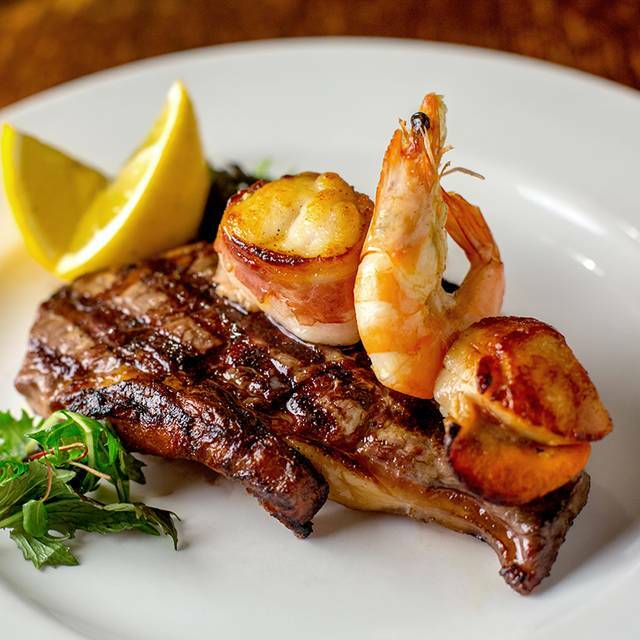 The food was excellent; the steaks were excellent quality and cooked as requested. The mackerel starter was delicious but there wasn't enough of it and the green beans with garlic were again, absolutely delicious but not enough of them for 4 people. Overall we enjoyed our visit and will no doubt return. Been here a few times. Food is consistently good, portion sizes decent too. Service good too. Superb meal, great atmosphere, friendly and welcoming to me and my kids. We have been to Anderson's Bar & Grill many times now and it never fails to disappoint. We love the ambiance, and the service is very good. The food and drink is amazing, and we feel it is good value for the quality. We cannot wait to go back. I’ve been previously, I think Anderson’s is intimate and very sophisticated. Great food, great service and just a lovely space. Suggested here for my mom and step dad to take their friends who had came to visit. All 4 of them were absolutely over the moon with the food and stated it was THE BEAT STEAK they’d ever tasted. From starters to puddings they could not fault the food. A nice normal place, everything you need with no airs and graces. Every single element of the food was perfect, a friendly and helpful waitress, a really nice experience. There was a birthday in progress while we were there which made it a bit noisier than it probably usually is but it still wasn't unpleasant. As always excellent food and atmosphere. 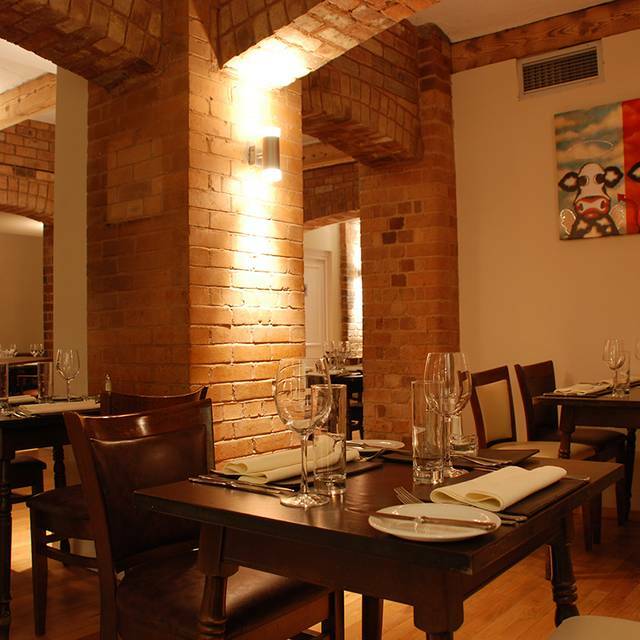 This was our first visit to Anderson's , thoroughly enjoyed our meal and the atmosphere was good. Will definitely go there again. Great food and excellent service. Ambience just perfect too. Food was amazing everyone in the party loved their meal and would definitely be returning. We celebrated a 60th birthday and had a private area which was lovely and staff helped surprise with a birthday cake. Overall a lovely evening and celebration. It was a lovely atmosphere! No network in the restaurant though and music kept going very loud then quiet. Servers were attentive and useful! 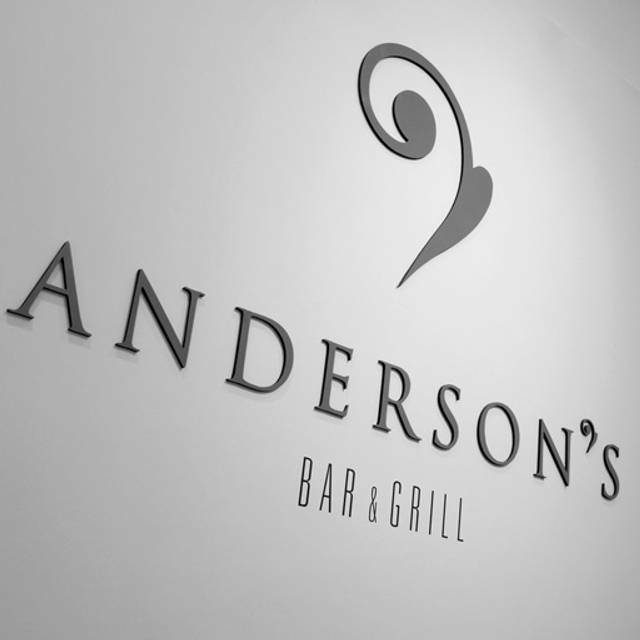 After being a customer at Anderson's Bar and Grill on 5 previous occasions, I had high expectations on my 6th visit for me and my partners 1st anniversary and we were certainly not disappointed! I had arranged for Prosecco to be on ice on our arrival and our waitress brought it over as soon as she had sat us down at our table. The attention to detail reading out the monthly specials/Steaks menus was second-to-none just like it had been on every other occasion. The 30oz Portherhouse steak (which i order everytime) was cooked 'Rare' to absolute perfection as always and the side orders of Home-cooked chips, new potatoes and green beans with garlic were also cooked to perfection! As a special surprise after the main course, we were given a 'Happy Anniversary' aperitif of pieces of Ginger cake with real vanilla cream and raspberry coulis which was a beautiful touch even by Anderson's standards. Overall, Anderson's is one of the best restaurants not just in Birmingham but in the whole of the UK and i will be back to visit again in the not so distant future! The food was delicious and staff were very helpful. It was a birthday meal and cake was brought out as a surprise which was a lovely touch! On arrival it is lovely to have a drink at the bar and then be shown to our table. The tables are well spaced out to give dinners a more secluded feel. The flavours of the starters are delicious and so well presented. I love the rustic charm of the decour. Specials of the day have often been chosen and we have loved the service from the staff. We always feel so looked after. Well done for getting it right. Amazing service and food. Would recommend this place to anybody. Family get-together, so Andersons supplied just the right amount of attention, service and good food as expected. Thoroughly recommended! Absolutely amazing restaurant!! Food was amazing. Great value. It was our 1st year anniversary & they made it special. First off it’s not a cheap meal but every penny was well worth it. The steak was cooked to perfection, the presentation of each plate was nice, tables spread out nice (not too far from another table and not too close- enough to feel you have privacy but still feel you’ve not been put somewhere out the way), pace of the food was perfect, really friendly and knowledgable waitresses and perfect portion sizes. I would definitely go again. Parking may be a problem as it’s street parking with pay and display but not an issue (I found parking readily available on a Friday evening around 7pm). The decor was nice too. Went for my wife’s 30th and we thoroughly enjoyed it. Would highly recommend. Best steak in Birmingham. Food is good althought pricey. The medium steaks still come out quite pink in the middle so I ordered a med-well, however it was burnt on the outside and very tough. Pork belly starter is very tasty. Although the service was good. We were double charged with stuff we never placed. All of the steals were fabulous! Didn't work for us. Food was luke warm plate was cold. Steak was chewy and not great. Excellent steaks and thoroughly enjoyable meal. Staff were brilliant and would definitely recommend the restaurant.